Have you ever made or purchased a gift for a teenager that fell flat? You’re not alone… trust us! Teens are finicky people. It’s difficult trying to figure out what teens want for their birthdays, graduations and other gift-giving occasions. (Aside from cash… everyone likes getting cash!) 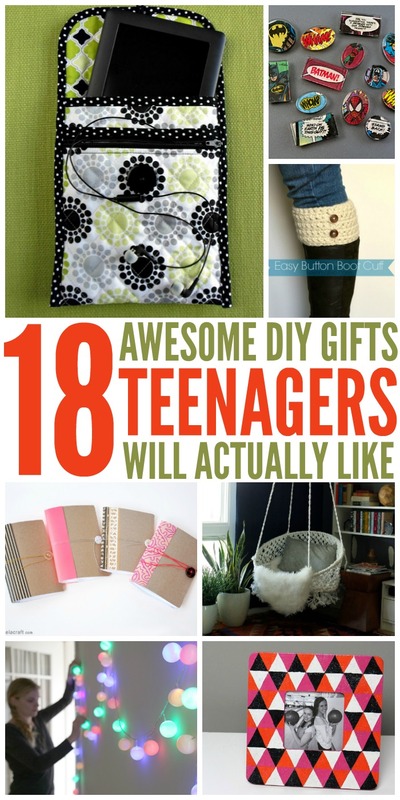 But we think we’ve found 18 diy gifts teens will actually like. Most of them may look girly, but you can easily change them up to be more guy-friendly. The best part, most of them can be made with things you already have in your home. Yay for budget friendly gifts! So read on and be inspired! 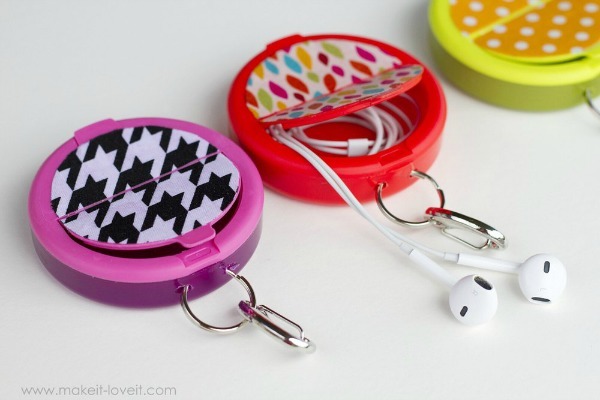 It’s likely your teen has several pairs of earbuds, so why not make an earphone holder from a mint container? 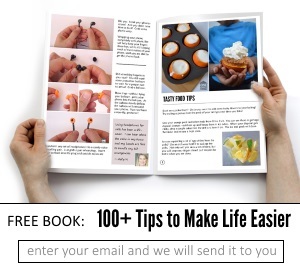 Or make several — you could use one, too! It’ll keep earbuds from becoming a tangled mess in a purse, backpack or pocket. 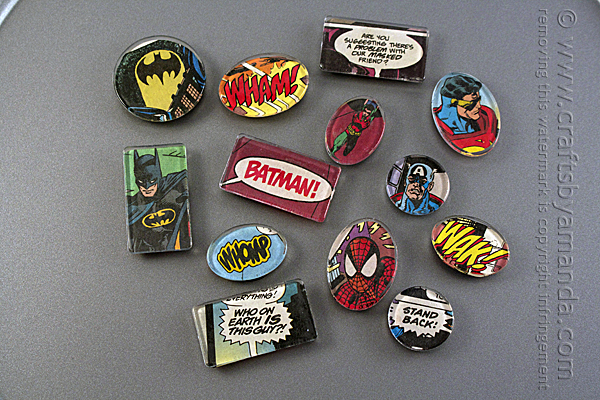 Make some comic book magnets for your teen’s locker at school. This is a great gift for guys or girls. How many devices does your teen have? Two? Three? Make a decorative charging station so that charging them all at once doesn’t have to be so, well, ugly! Speaking of devices, a tablet cover is a must. This DIY tablet cover comes with a zippered pocket to hold earbuds. 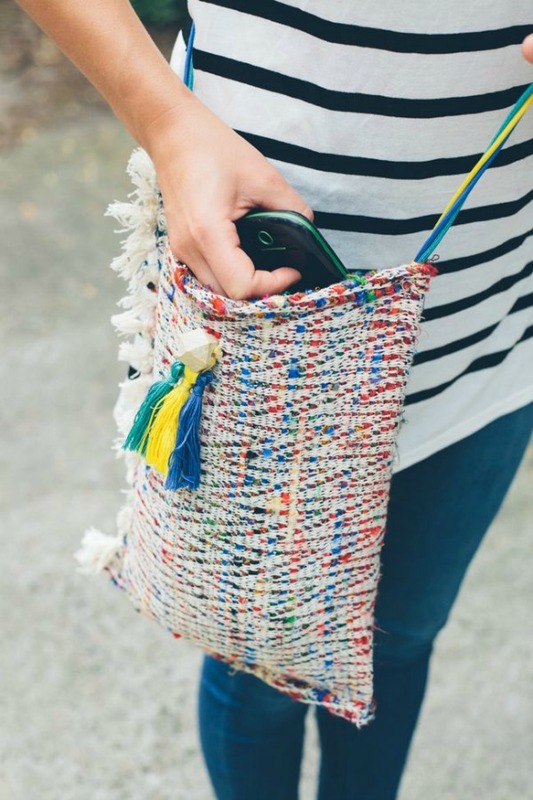 Can you believe this diy cross-body tote was made from a placemat? Talk about an easy project! 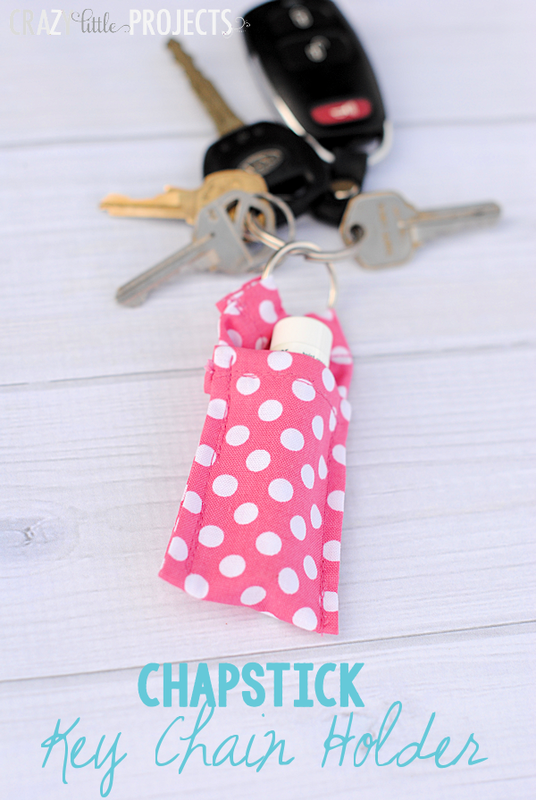 This key chain lipstick holder takes just five minutes to make. You’ll need one, too, right? 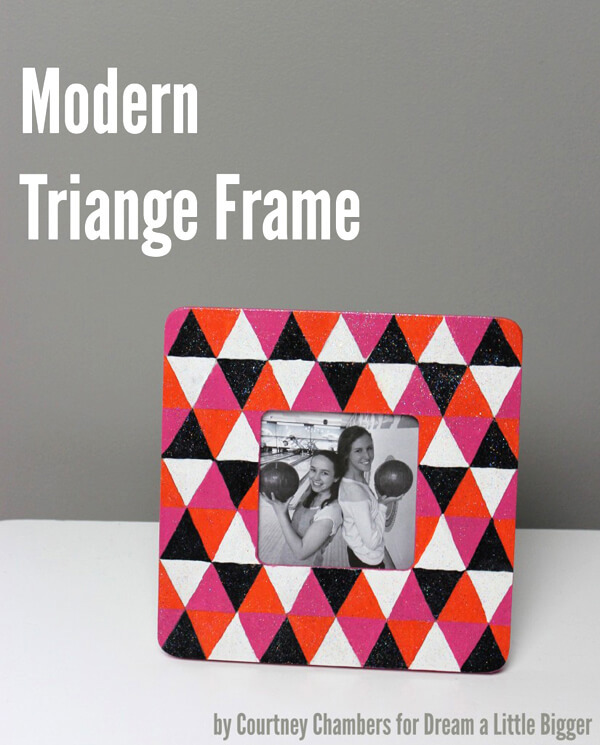 Make a modern triangle frame to coordinate with their room decor. Who couldn’t use an extra frame or two for displaying their favorite pictures? 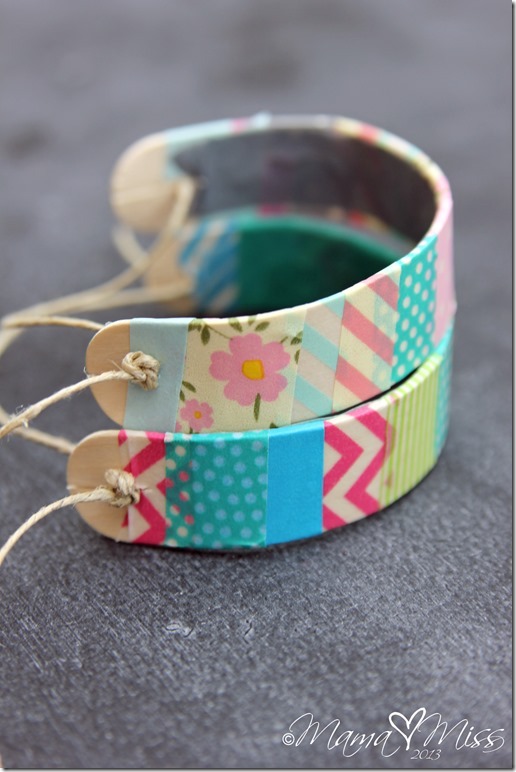 These washi tape wooden bracelets are super easy and super cute. 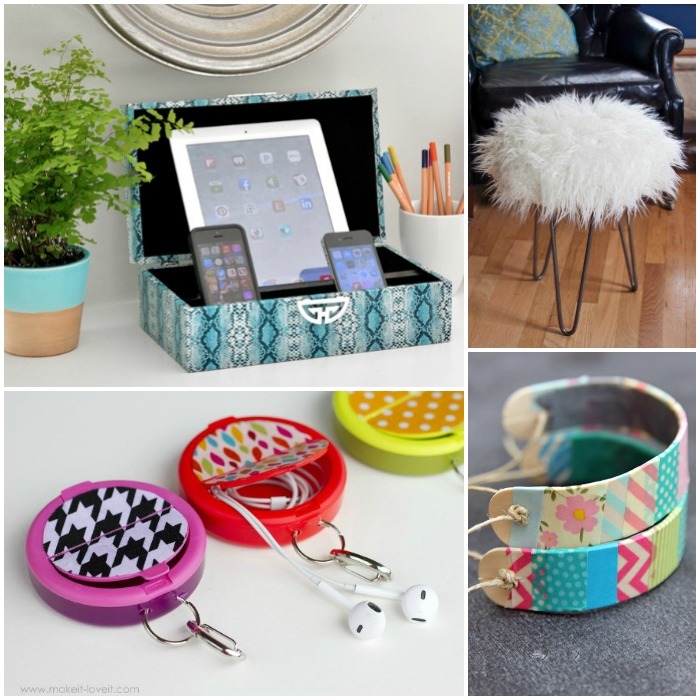 Gift them with several rolls of washi tape so your teen can redecorate them anytime she wants. 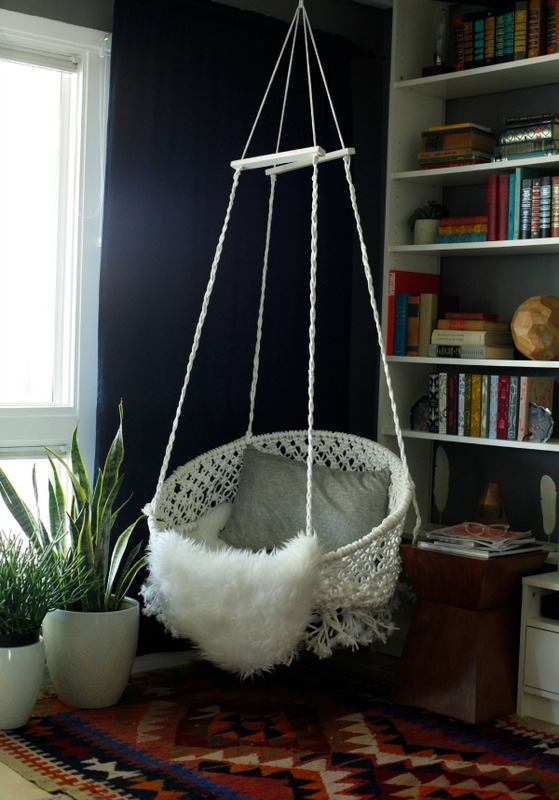 If you’re not afraid of a more challenging DIY, this Hanging Macrame Chair would go perfectly in a teen’s room! 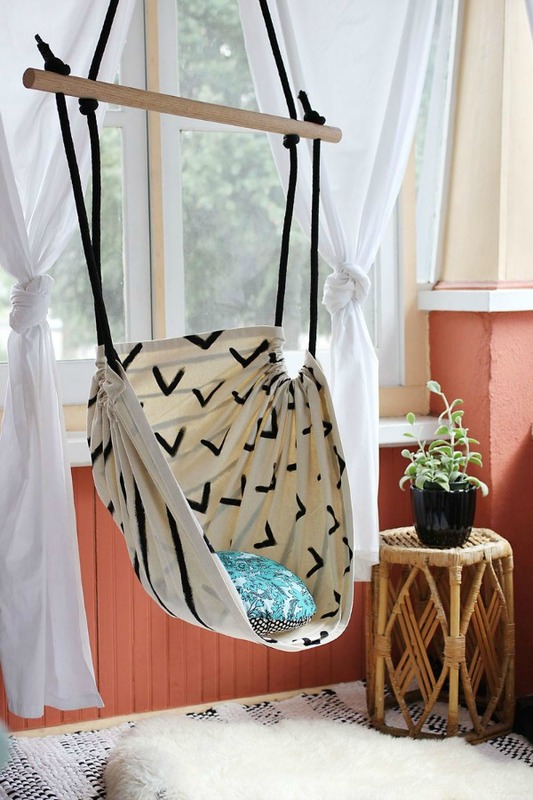 But a hammock chair would be even easier. Little kids love them, too! 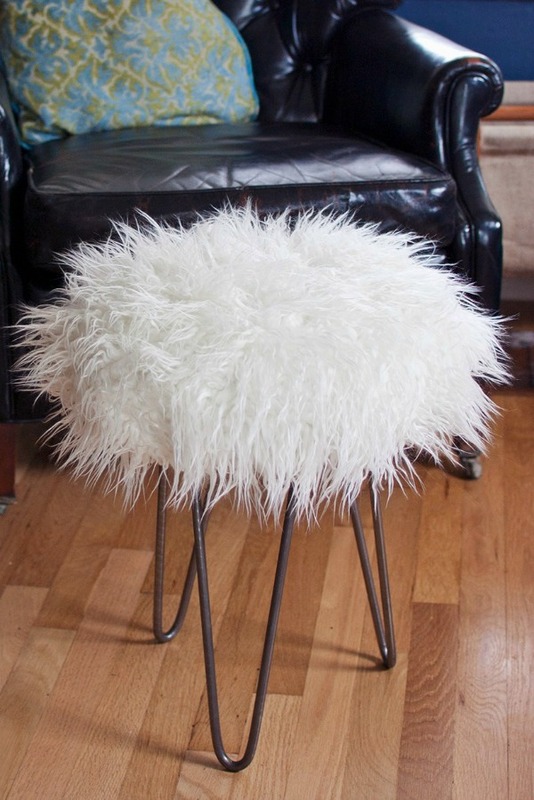 This faux fur stool would make a nice addition to a makeup table. Make some beaded tassel bracelets. They’re wonderful for stacking and creating a layered look. Make a plain old phone case look loads better with some washi tape and/or paint. 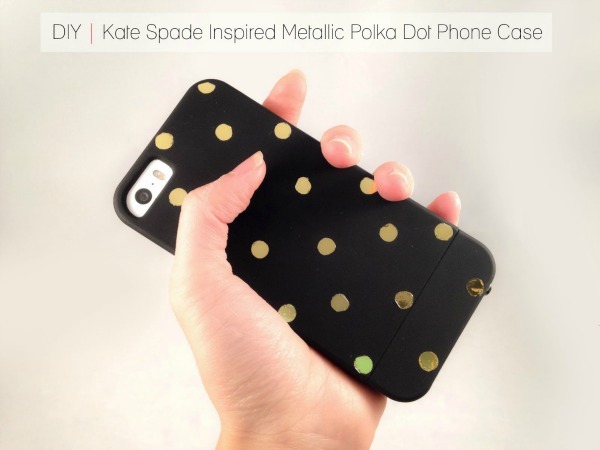 It’s the designer look for a lot less — like this Kate Spade-inspired case. 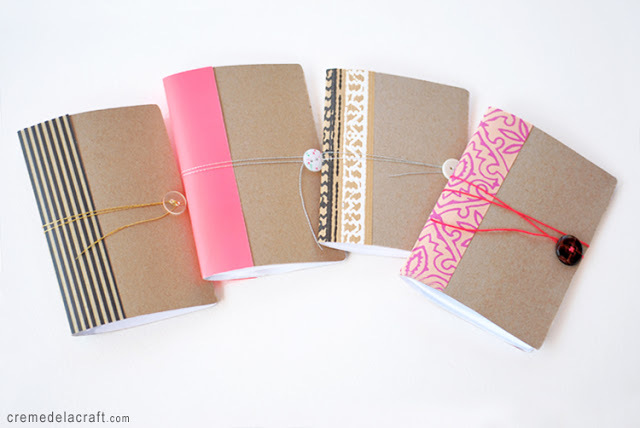 DIY mini notebooks make great gifts. Keep one in your locker, in your purse, in your backpack or wherever. They also make nice journals. And surprise… these are made out of cereal boxes! We love this Starbucks EOS lip balm container. So cute, and perfect if your teen is obsessed with Starbucks. 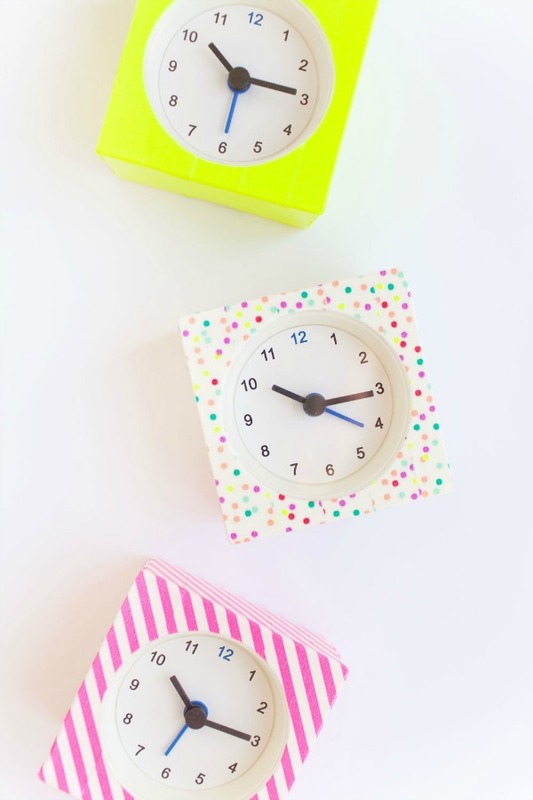 DIY washi tape clocks are the perfect thing to give a college student who’s moving away for the first time. No excuses for being late to class now! Have a teen that loves to read? Make some diy bookmarks! 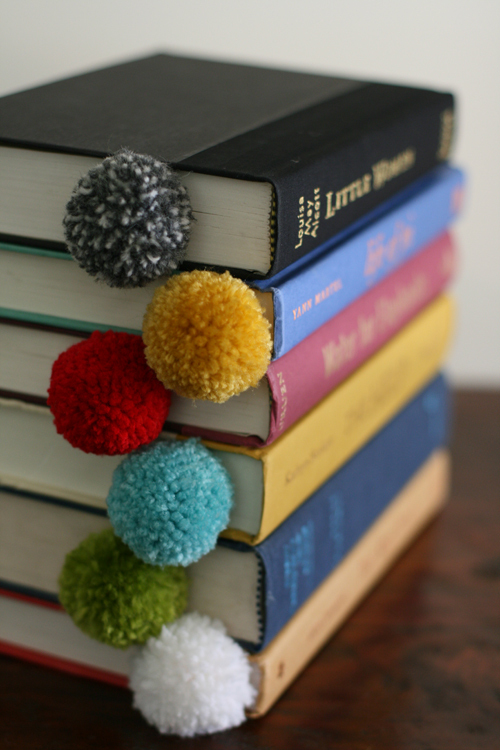 These yarn ball bookmarks are just gorgeous. 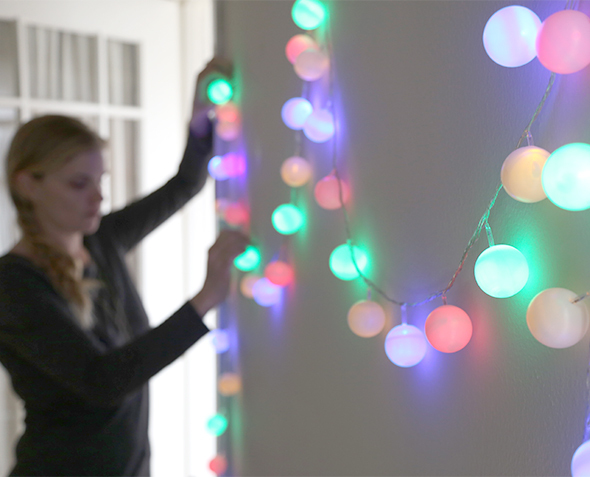 Ping pong lights are such a pretty way to dress up your teen’s bedroom! They’ll look amazing in a dorm room, too. 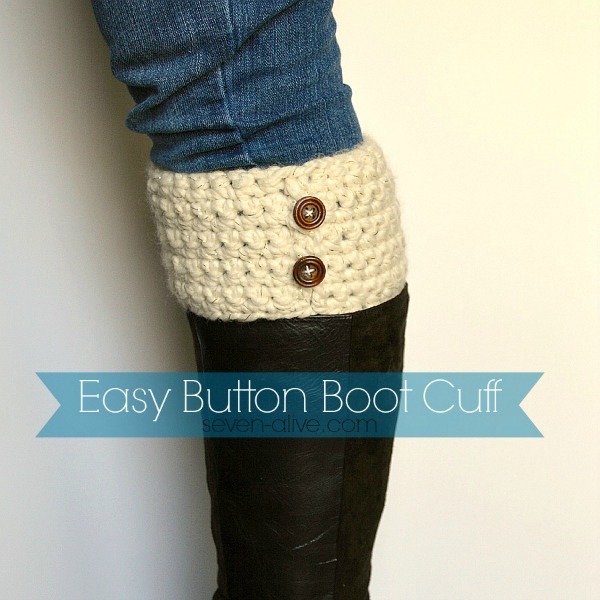 Or how about some easy crocheted boot cuffs for this fall and winter? Stylish! Not only are these gift budget friendly and downright awesome, what will make them over the top amazing is the fact that they were made with love, by you. So get crafting!